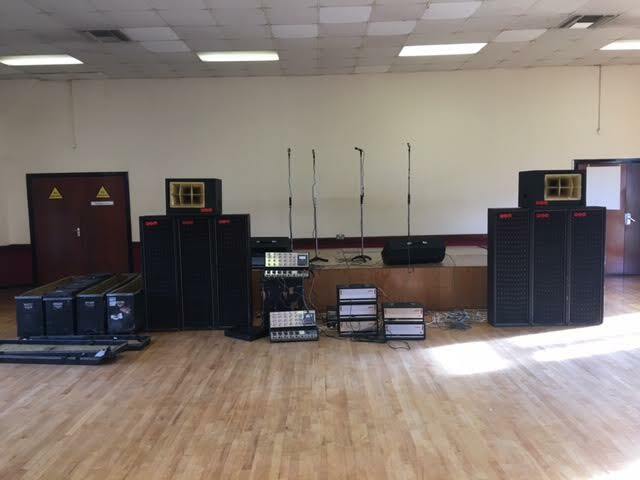 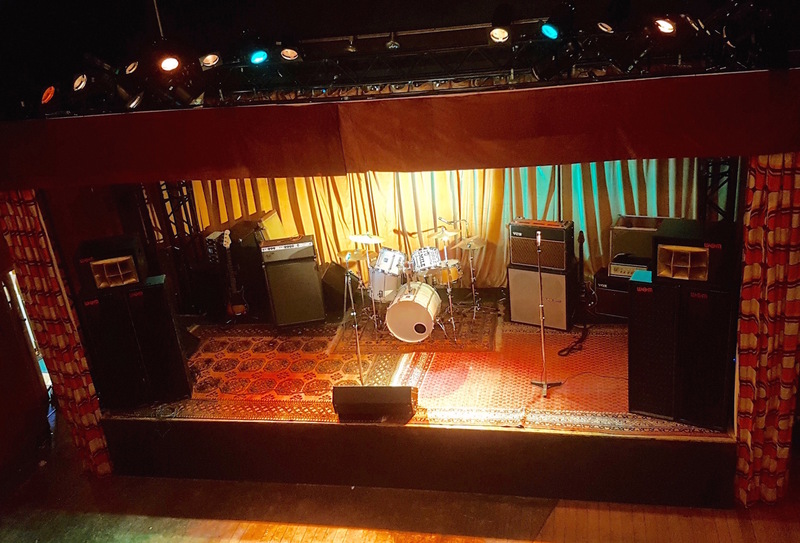 For the Bromley Town Hall ‘Bohemian Rhapsody’ filming sessions in November 2017, we were asked to create a working PA system for an early 70s concert. 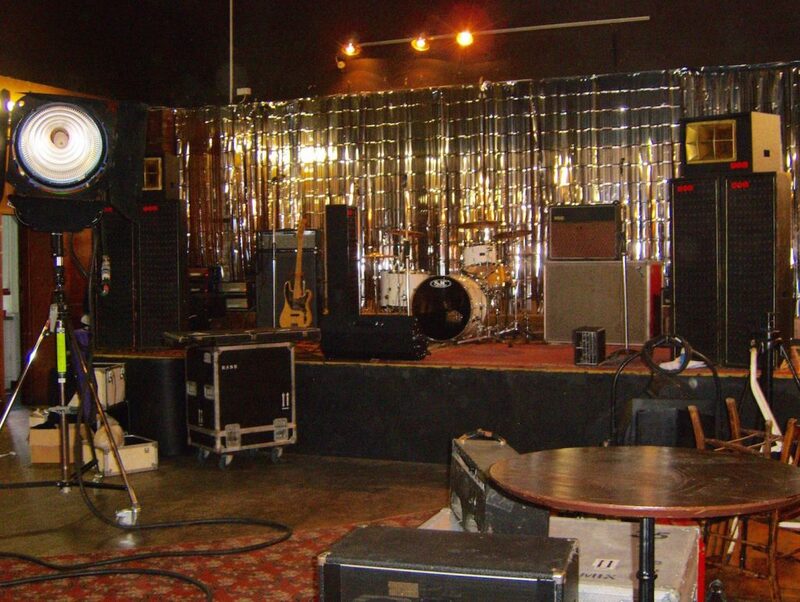 As far as we know two gigs were being shot – the first was the pre Queen ‘Smile’ band at Ealing Art College and the second was an early Queen gig. 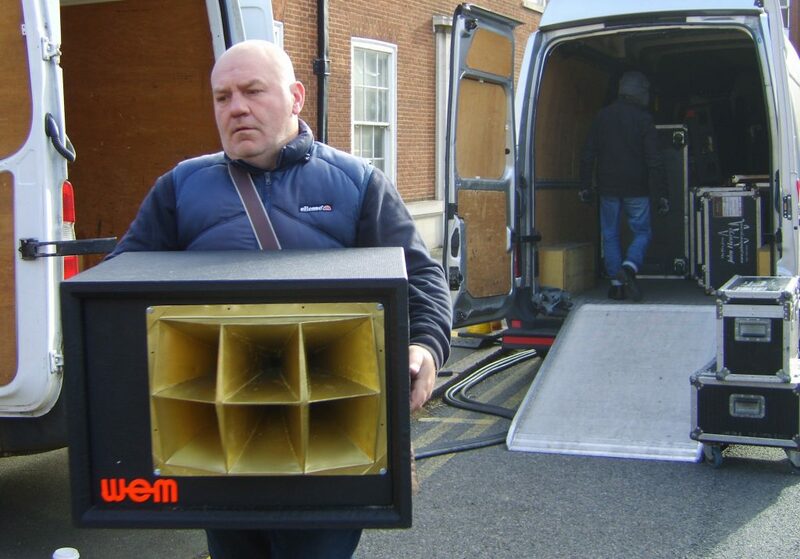 We put together a working WEM PA system from our extensive stocks of working WEM 60s and 70s equipment. 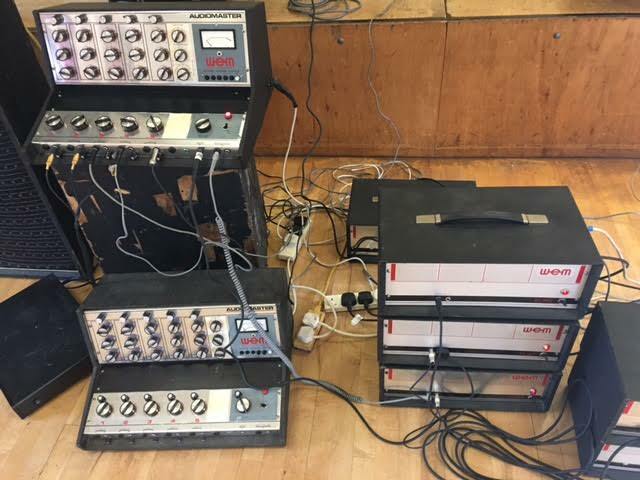 Initially we tried the PA by hiring a village hall in Cheshire to see how it looked and sounded and for 50 year old equipment it sounded pretty damned good! 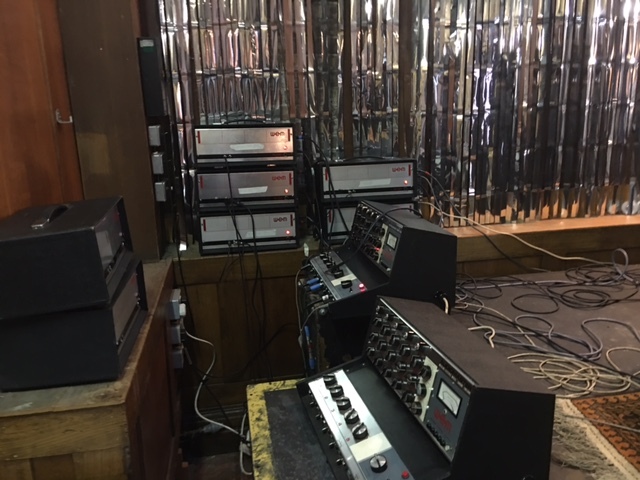 The system comprised of two early WEM Audiomaster Mk1 5 channel mixers, 8 WEM 100 watt slaves, 6 WEM 4 x 12 columns, two WEM Vitavox gold sectoral horns, a WEM 2 x 12 wedge monitor, and three other small WEM PA cabs for drum monitors. 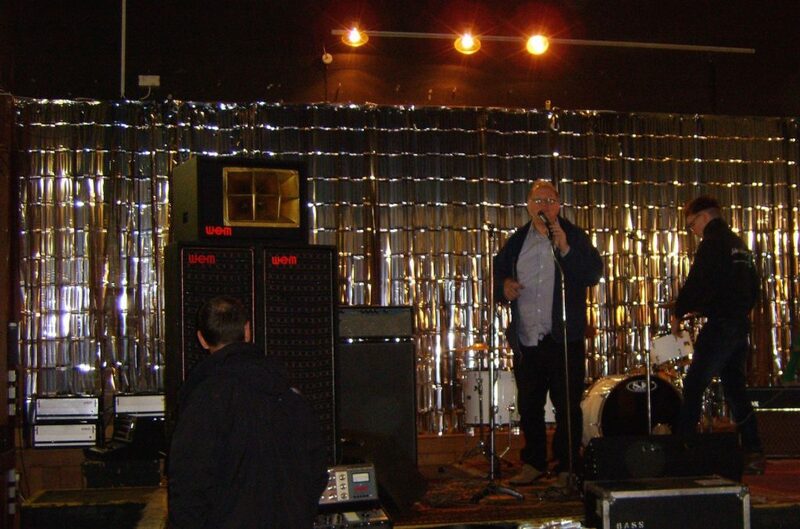 As you will see from the pictures we totally recreated a late 60s early 70s feel to the gig.